Do I Need Life Insurance? Who Will Need It? Who needs life insurance? Life insurance has become an essential requirement in this era, but not everyone need life insurance. If someone says that everyone needs life insurance, then it means he does not know more about life insurance. He may be an insurance salesman who wants to catch the target, is it possible? From year to year, life insurance enthusiasts continue to grow, you can see from the total income of the life insurance industry continues to increase. However, not everyone needs life insurance. Then who might need this vital service? Let us look together anyone who really needs it. When you have a family, or you are married, you may need life insurance. But not a newborn child directly requires life insurance. 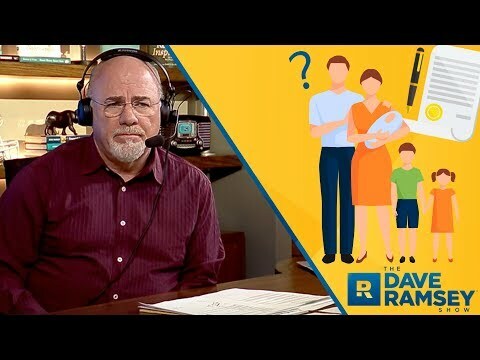 Why does someone with a family need life insurance? With the family, you have a burden or responsibility. If you have an accident without you thought, then your family will get the insurance fund that you can use for the next life. However, there is always a top priority in the family to become a life insurance participant, you can read further on the points below. The main priority to become an insurance policy owner, in general, is someone who makes money in the family. It applies to both mom and dad, or anyone in charge of making money. Usually, a family leader is in charge of earning money for his family. When you get a mortgage loan, the bank will ask you to pay a life insurance premium, so your family does not need to continue the mortgage when you die. It because the installment can be paid off with the sum insured when sufficient. It also applies to other credit facilities, such as vehicle loans or multipurpose loans. The problem is, many people are underestimating insurance, even complaining when the payment comes. The higher risk in work, then you will need life insurance. You may always be careful in your work, but bad luck can happen to you anytime. It is the moment in which life insurance is beneficial. If you are single, but your parents do not have economic problems if you die, of course, you do not need to have life insurance. All transport service providers will offer, even some of them require insurance. However, this protection is sometimes not enough to ensure the security of the family’s financial future. If you travel a lot or work out of town, you will need life insurance aside from the fare. However, if you move frequently and something happens to you, but it does not have an economic impact on the family you left behind, then you do not need life insurance. Children or newborns do not need life insurance protection because they have no dependents yet. If a child dies, the family will be sad, but will not adversely affect the family’s financial condition. In contrast, family finances will improve as the number of dependents decreases. Buying your child life insurance at this stage will only give free money to the insurance company. Someone who already has income also does not always require life insurance if you do not have dependents and you have no obligation. A person without a burden to a third party does not need life insurance protection because if you die, then no one feels lost income. Parents with all children who are independent and no longer have obligations to their children also do not require life insurance. If you die, your children will mourn, but your child will not feel financially damaged. If you manage your funds correctly, then you should have had savings or investment returns with a value higher than life insurance money. If you as a parent, you feel that you already have enough savings, you can cancel life insurance before the time if you think that the insurance coverage is not worth with your savings. If you die before your children are independent, your children will still be inherited in savings, if you have a lot of money. When you buy life insurance, you buy the sum assured to be used as income replacement. You can also calculate how much income replacement needs, so you do not feel paying premiums too expensive. There is nothing wrong to buy life insurance, in the hope you to pass the sum insured. You just need to pay attention to all rules contained in the policy. You need to remember, life insurance companies only pay claims, following the conditions listed in the plan. The concept of life insurance is to protect the economic value of a person. You must remember, do you belong to the above criteria. When someone offers you life insurance, think again and look at the above points. Now you have understood, whether you still need life insurance or not. Previous Previous post: Do I Still Need Life Insurance When I Get Old? Next Next post: Which Insurance Should I Choose For My Family?